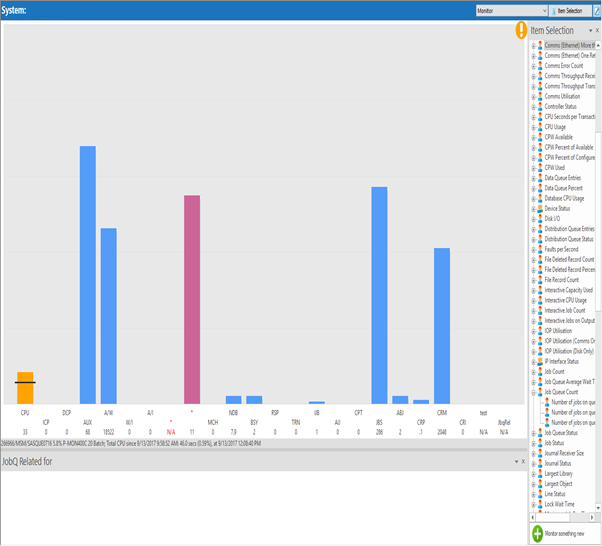 This topic shows how to create a bar to monitor for the number of jobs on a particular job queue, starting from a system view. In the above example we already have a Job Queue related group, so we'll add the new definitions into that group. 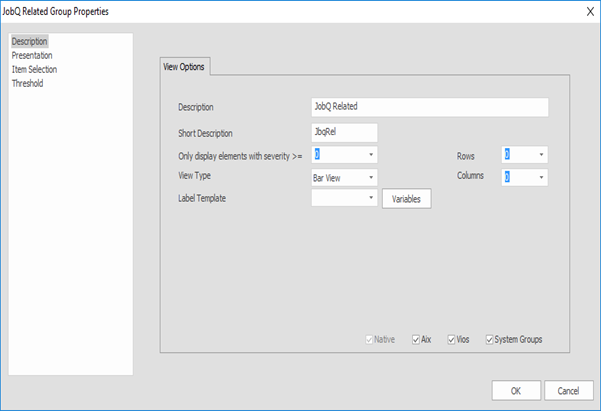 Select Item Selection in the left pane. 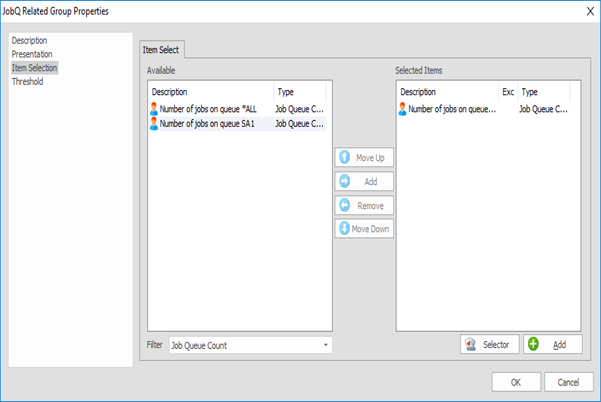 Create a Job Queue Count item, if one does not exist, using the Add button. The following window opens. Then, use the Monitor Type drop-down list and select the Job Queue Count definition. 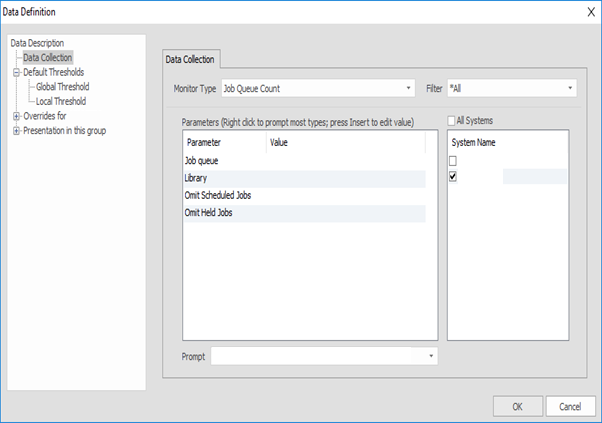 Right-click the Library parameter and select the required library from the list. 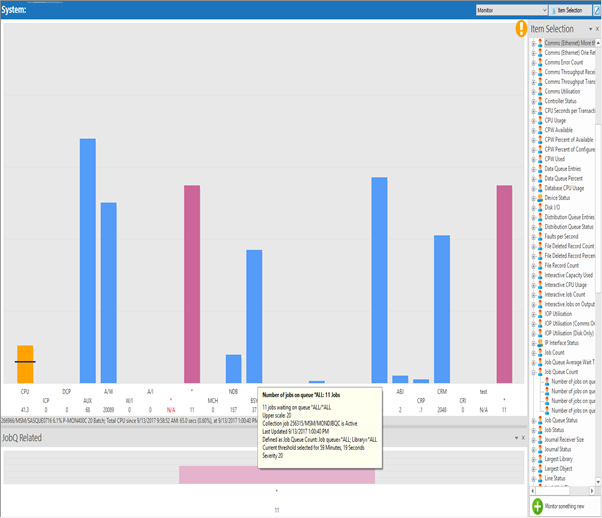 Right-click the Job queue parameter and select the required job queue from the list. You can also choose to omit Held or Scheduled jobs if you wish. Continue to add the monitors that you need to create. Note the new options at the bottom of the Selected Items list on the right. Click OK again to return to the monitor. New columns have been added to the main Bar Group providing a count of the jobs. Hover your mouse over any item for details.